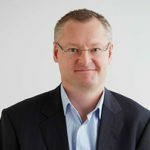 Alex is a director of Specialist Wealth Group, and founded the firm in 2011. He has 13 years’ experience in banking and finance roles, most notably in finding solutions to complex funding scenarios. After having spent 10 years between being National Home Loan Manager at Medfin Australia and Head of Third Party Distribution with Investec Bank Australia, both specialist medical financiers, he realised that the only way to truly be working in the best interests of your client is to offer a broad range of products, and not to force a fit with the few products a single provider can offer. Alex holds a Diploma of Finance and Mortgage Management & Diploma of Financial Services (Financial Planning). Alex strives to deliver the most cost effective, cohesive and user friendly packages to his clients every time. He is an avid property and share investor and very much enjoys assisting clients to the same end. To date, he has assisted in financing commercial buildings (small and large), specialised medical equipment, medical and accounting goodwill, trucks, cars, fit outs, aeroplanes, etc. Alex is also an avid motor enthusiast and motor cyclist, much to his long suffering wife’s annoyance! Alex is married with a young son.